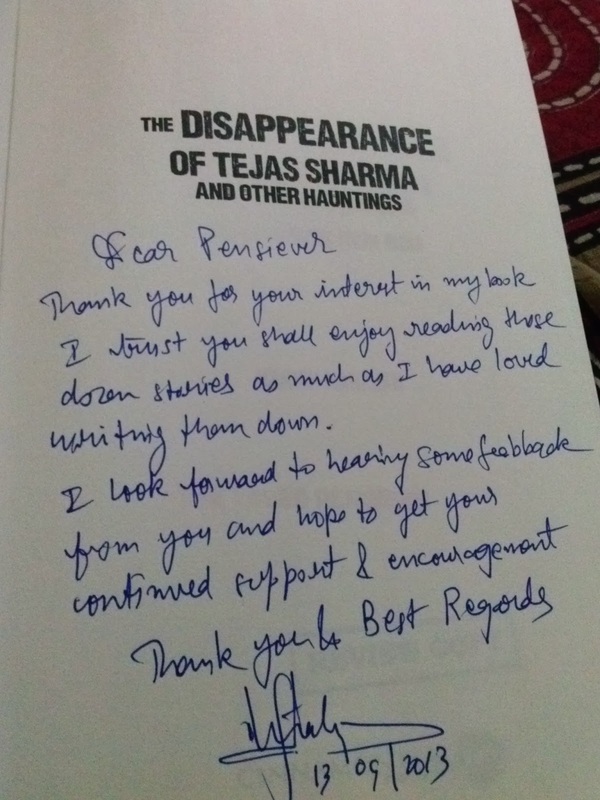 'The Disappearance of Tejas Sharma…and other hauntings’ is an anthology of 12 ghost stories mostly set in India, and is meant for an audience with a penchant for the supernatural. Even with the constraints of a short story, each tale is rich in details and these dozen stories cover all the time tested classical elements of supernatural fiction. 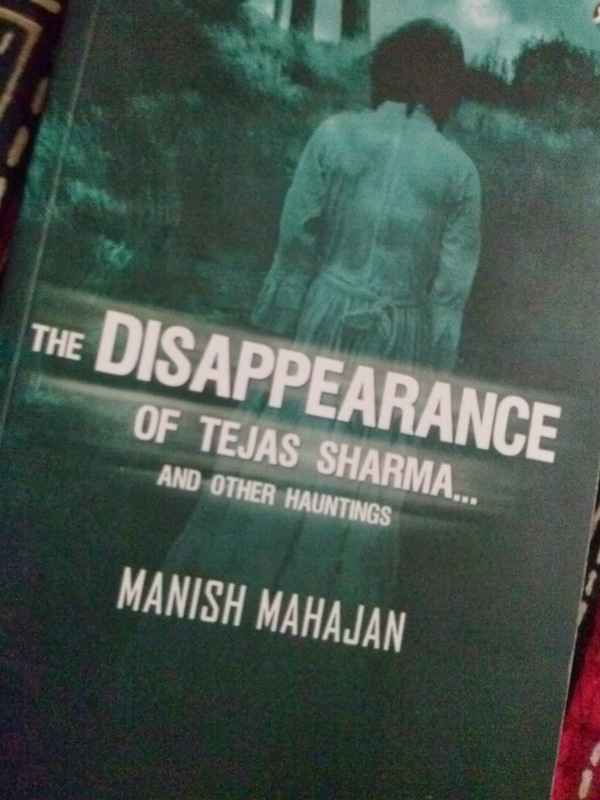 From the story of the young man who inexplicably vanishes to the epic tale of the haunted Peepal tree in Rajasthan; from the true story of a ghost station in West Bengal to the medieval legend of the scary well on a remote island; from the mysterious tick and cross markings in a graveyard to the haunting music coming from a locked room… this collection of supernatural tales serves to be a perfect literary cocktail for night time reading. Who does not love a good horror story while you are travelling among unknown roads or in the dead night when the silence is so numbing yet creepy too. And if you happen to get hold of a book like this , I bet any one would not want this to be over soon. I took my own time , keeping the book away from my day time reading pile and picking it each night , to read in the light of my lamp shade , feeling the excitement and the thrill in my head. This set of 12 stories will leave you satisfied yet craving for more tales. One of the best thing that happened while reading this was the fact that I got reminded of all the tales I have ever heard in school or college days , from my granny or the gossips in neighborhood. I realized India has such rich history in tales we pass from city to city , generation to generation , and the same in a way has been done by Manish. Writing a horror story is indeed a challenging task. It not just has to excite , but also be mysterious and challenging enough to keep you reading. I wanted to keep reading this one and yet , for my own sake I took 4 sittings to finish the book. Another thing worth mentioning here is that the stories being set in different times , different places , all showcase the unique plot settings by Manish. It not just bring variety to the book but a much wider set of people can relate to the tales that way. PS : I loved the personal note on the book. Techie @ Heart - Karthik S.